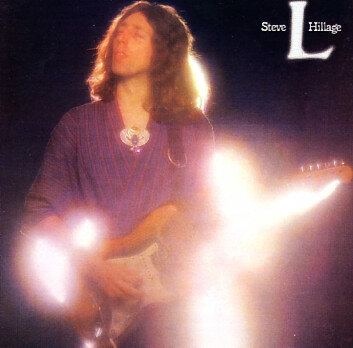 Let's try to ignore the terrible new age hangover cover art, L is where Steve Hillage really comes into focus as a solo artist. Giving him some focus is producer Todd Rungren, who also brought along a few musicians from his Utopia band. Also joining the band is Hillage's longtime girlfriend, Miquette Giraudy. She would eventually match Hillage's guitar with her cosmic synths, although here she is just providing some background vocals and playing something called 'Isis vibes." Still, this is the start of a great musical collaboration that continues to this day in their electronic act System 7. Ironically, Hillage finds his own voice in part through a few covers, which bookend the album muc has the prog epics did on Fish Rising. He opens the disc with a phenomenal version of Donovan's "Hurdy Gurdy Man." Bypassing the proto-heavy metal crunch of the original, Hillage uses the track as a launching point for his echoing sonic explorations. The track eventually drifts into the sweeping pads and eventual climax of the original composition "Hurdy Gurdy Glissando." Closing the album is a cover of George Harrison's "It's All Too Much." This one is far less essential and somewhat closer to the sound of the original, but it's very pleasant. Between these tracks is one of of Hillage's signature tracks, "Electrick Gypsies." It very much encompasses what will come to define the Hillage vibe, with soaring guitar, a slight 70's funkiness, and cheesy but earnest new age lyrics. Hillage's voice doesn't have much range and it's a bit thin, but he always sounds completely committed and I find his singing infectious. I don't think anyone else could sing this one without making it cringeworthy. "Lunar Musick Suite" is another prog epic, although slightly more condensed than the Fish Rising tracks at twelve minutes. Rundgren's production also helps a lot, giving the track the crisp sound it requires and more focus. His Utopia band mates fill in nicely for Hillage's missing Gong comrades. I feel that L is the first real Hillage solo album. Here he carves out a sound that can recall his old bands, but also brings something distinctly new to the table. This is Hillage as the quintessential new age informed space rocker. its great...thanks very much for the info and DL. One of my favourite albums - thanks so much! Thanks heaps for this.I have had Fish Rising for years and been meaning to get more Hillage. I keep coming back to your blog. Whenever I'm looking for something a bit strange google always brings me here. Your critiques are well thought out and intelligent (with only the occasional and negligible spelling error). I'm about to go on a binge and grab all of your 5 out of 5 records (few of which I have heard, some of which I have heard of). Martin, thanks for the boatload of Hillage!